Vitamin B12 helps produce red blood cells, maintain good health, and prevent B12 deficiency states such as pernicious anemia. 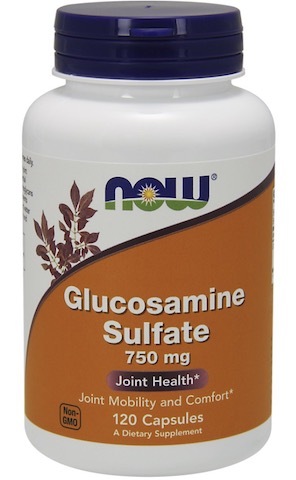 * Methylcobalamin and dibencozide are coenzyme forms of vitamin B12 whereas cyanocobalamin must be converted to its metabolically active coenzyme form in a two-step process. 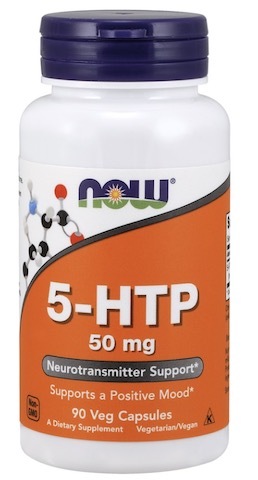 Taking methylcobalamin and/or dibencozide allows for greater absorption and bioavailability than non-coenzyme forms. 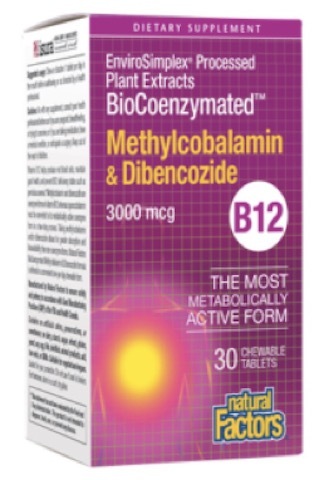 Natural Factors BioCoenzymated Methylcobalamin & Dibencozide formula is offered in a convenient one-per-day chewable form. Directions: Chew or dissolve 1 tablet per day in the mouth before swallowing or as directed by a health professional. Other Ingredients: Mannitol, croscarmellose sodium, magnesium stearate (vegetable grade), natural source cherry flavor, Farm Fresh Factors.